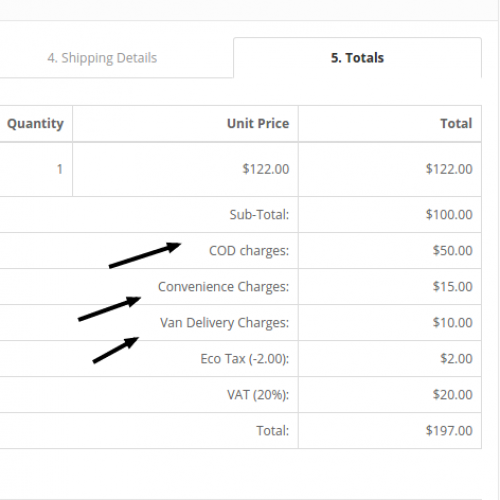 Many times store admin needs to add extra charges for the order but can't add this to opencart default modules. 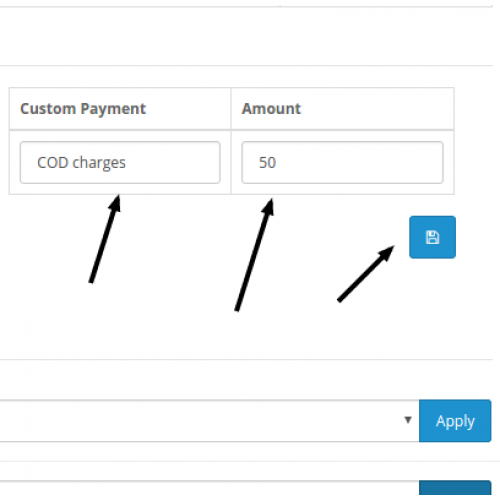 This extension helps you to add customized charges with custom text to your order from the admin side. 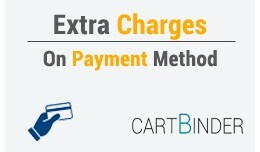 Not just charges, but you can also add custom shipping and payment methods for orders. 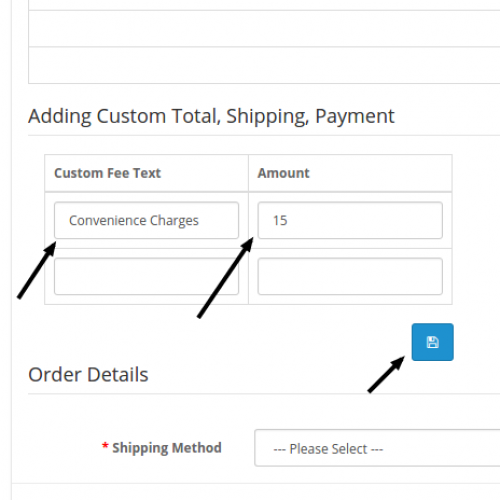 It can also add tax class to custom shipping directly on order edit / add page. - You can set unlimited custom charges for orders. - Supports multi-language. So orders in a different language can have their own custom charges text. - All things are controlled by admin like texts and amount. - You can set default text and amount. So, it is always ready for you while you make / edit orders. 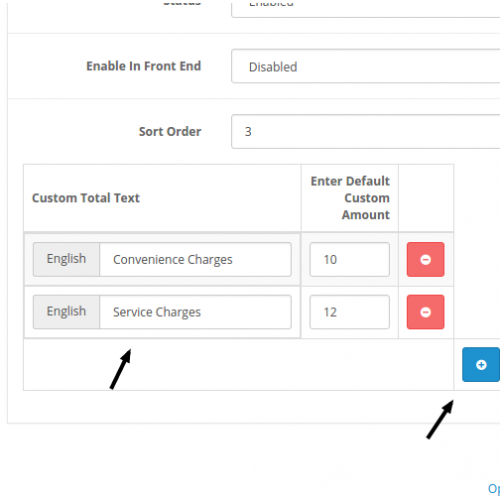 - If you want to remove the custom total from orders just remove its name. A very handy tool. - By default when you make orders you can only select limited shipping and payment options. 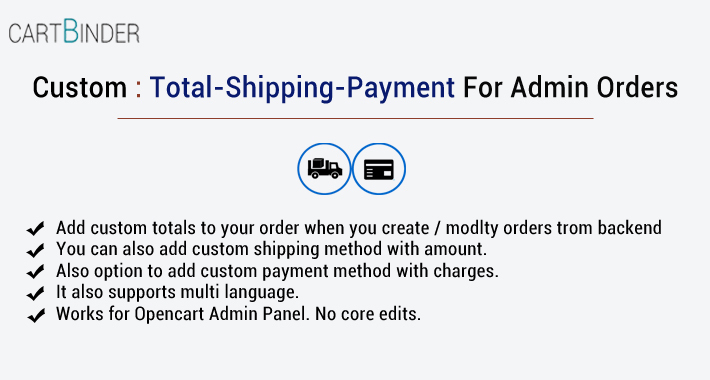 - But with this extension, you can create your own shipping text and shipping amount while making orders. 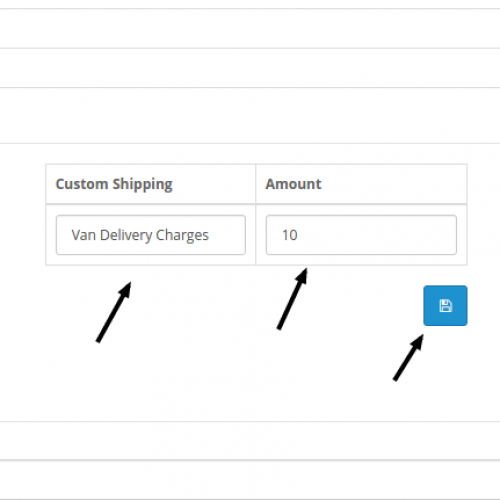 - Feature to add tax classes to custom created shipping method. - Also, you can create your own payment text and shipping amount while making orders. - Once you add custom shipping or payment methods, then you don't need to select opencart shipping or payment method. - If you want to use opencart payment and shipping you can still use it just by clicking Apply button. -You can also edit existing order for the testing purpose. 1) Go to the link above and you should reach sales orders page in admin. 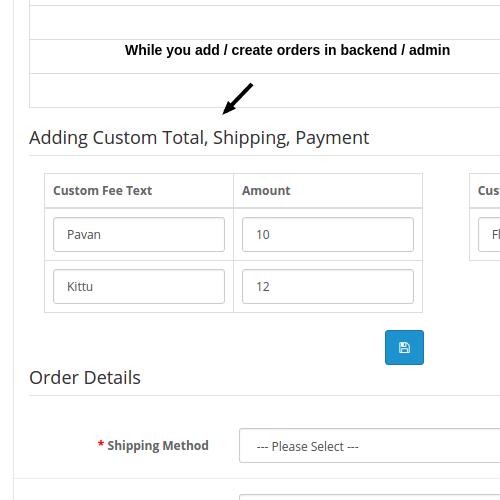 3) Check new block "Add custom total, shipping, and payment". 4) Just add your own custom text and amount in custom total and click save. 5) Similarly, you can add customized shipping and payment method. 6) No need to select default opencart shipping or payment if you have added it in your custom shipping/payment. Thank You very much for this great addon and support! The extension is superb!!! Form my 2.1.0.2 installation. Also some problems I had with another extension conflicting with this one, were immediately resolved by the support! Highly recommended!